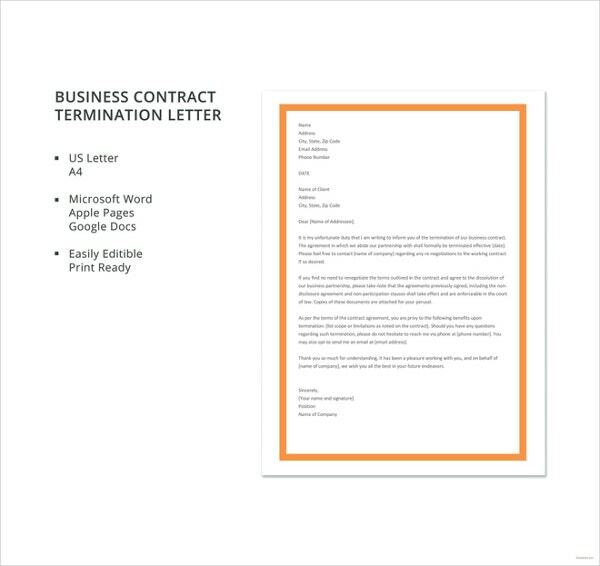 A contract termination letter is used for canceling a deal or a contract in a formal declaration made and duly agreed and signed by the other party. 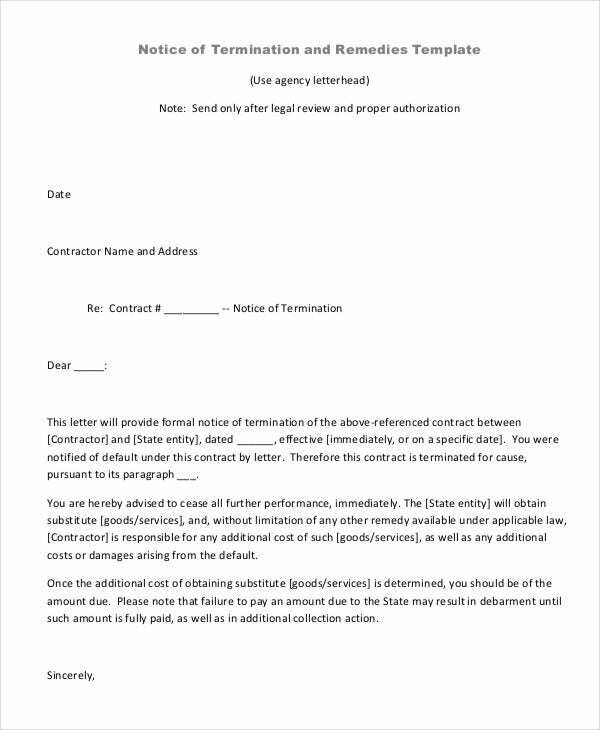 This termination letter examples formally declare your intent to end all business relations with the party with whom you had previously entered into an agreement or contract. 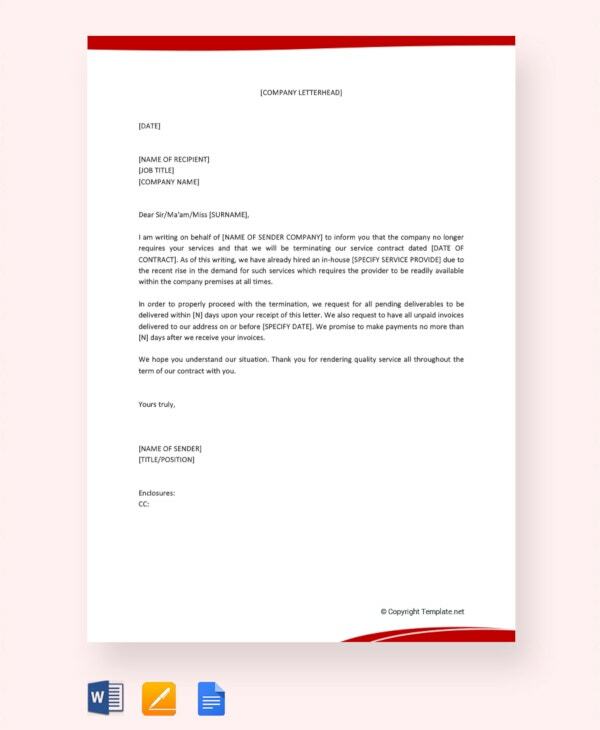 Below are the templates created in the proper format and tone that should be used when writing a letter to cancel a contract or stipulated agreement. 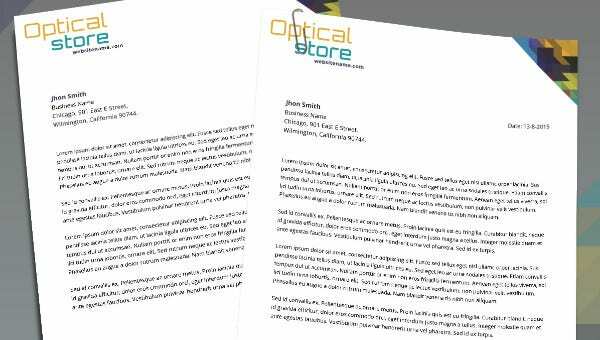 This free termination letter sample is an easily editable draft which you can edit and personalize to create a contract termination letter which can be sent to your supplier or any other stakeholders. 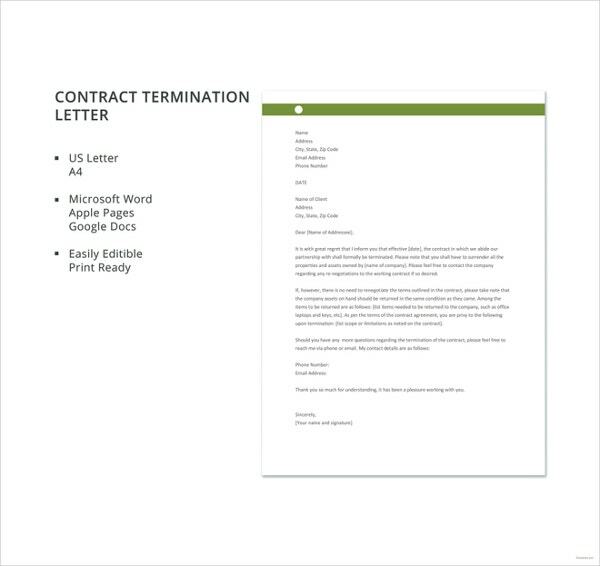 This simple service contract termination letter format is a fully editable document and can be used by small and large scale industries to use as the standard draft for employee termination letters. 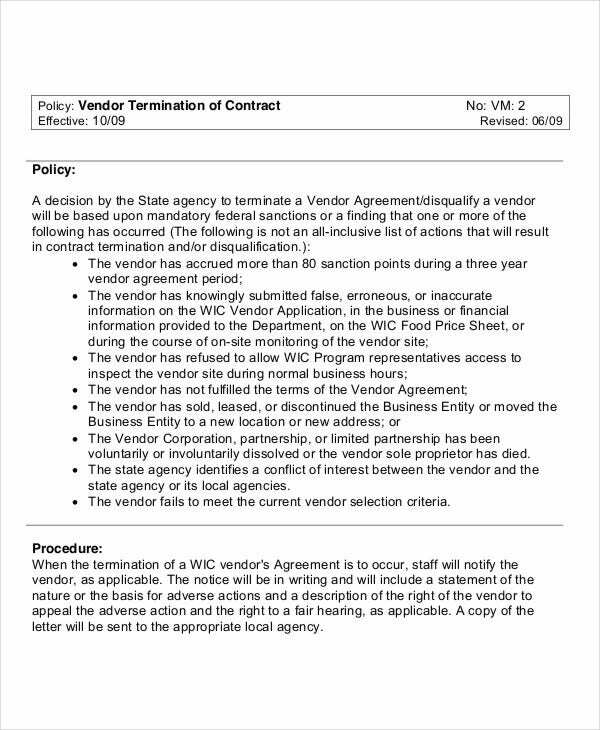 If you work in the supply industry and need to switch vendors every now and then, the vendor contract termination letter can be an ideal template document to download and customize. 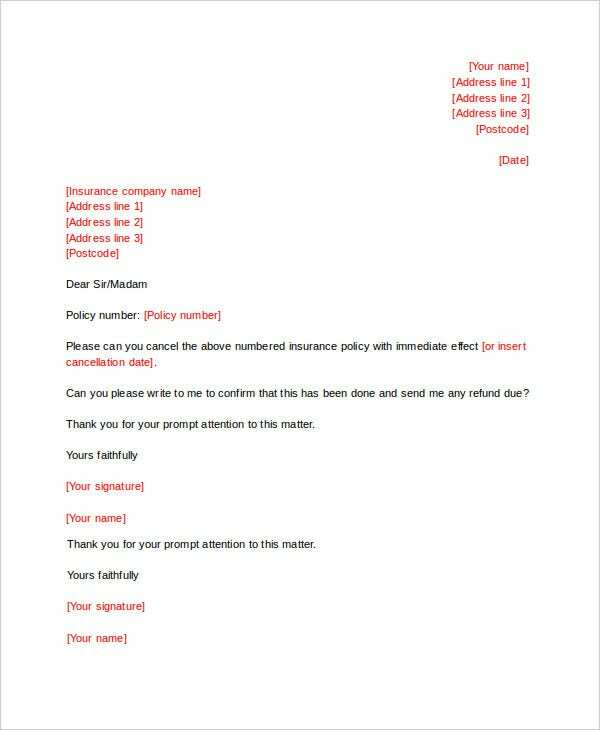 > How to use the Contract Termination Letter? Sometimes, things just don’t work out while doing business. Whether you are not satisfied with the way someone is delivering or you no longer need a specific service, sending a service termination letter makes it clear that the agreement has been canceled. 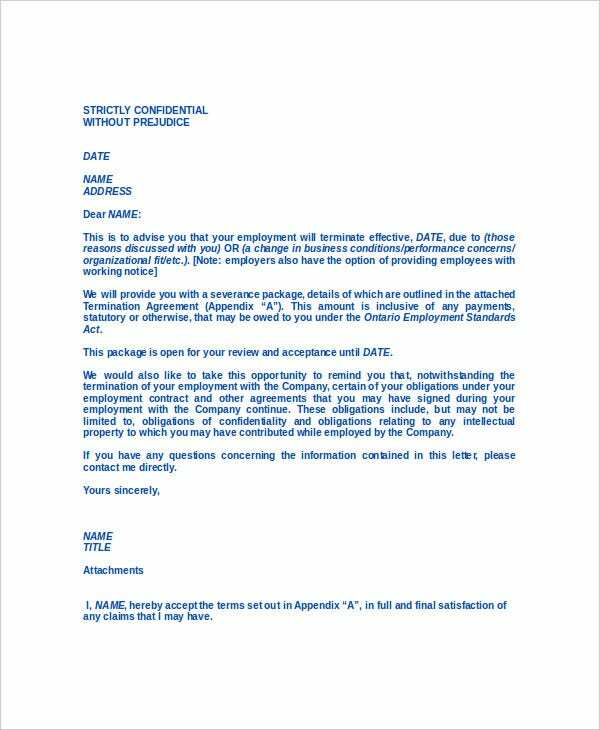 The Contract termination letter formats attached here are fully editable formats which can be used in business transactions to serve numerous official purposes such as terminating contracts with employers, vendors, service providers, suppliers, and other stakeholders. The letter formats have been formatted and drafted in a crisp official language and they can be personalized with ease in the least possible time. 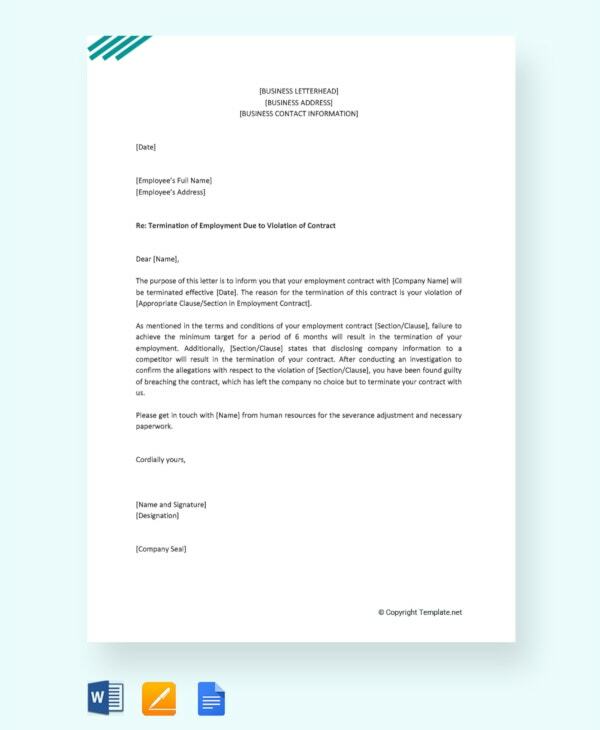 It is imperative to document the length of service rendered by a contractual employee in the organization by documenting and handing over the employee termination letter with the help of this template. Looking to terminate your current supplier formally? 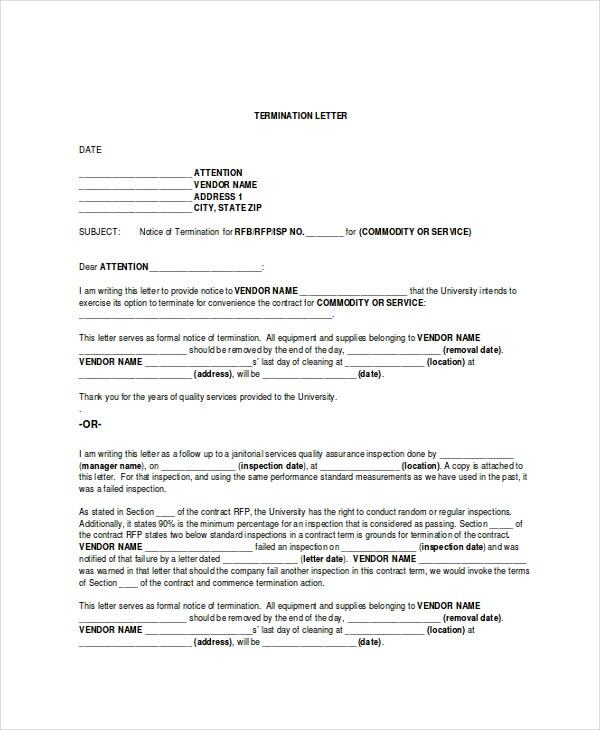 With the help of this supplier contract termination letter sample, you can record the instance and hand out a copy of this document to your supplier for his records. 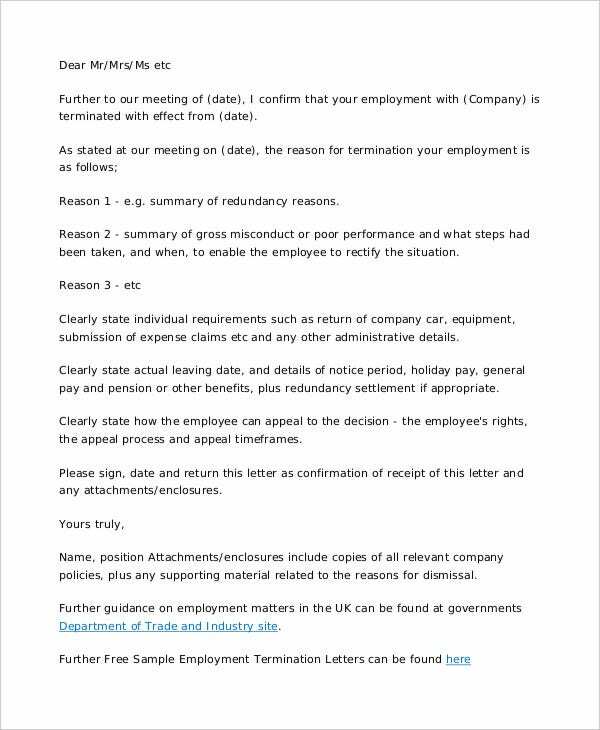 What are the benefits of using the Termination Letter? You can maintain better relationships down the line if everything is explicit. A Notice of Contract Termination is a formal declaration from you to another party that you plan to cancel your contract. 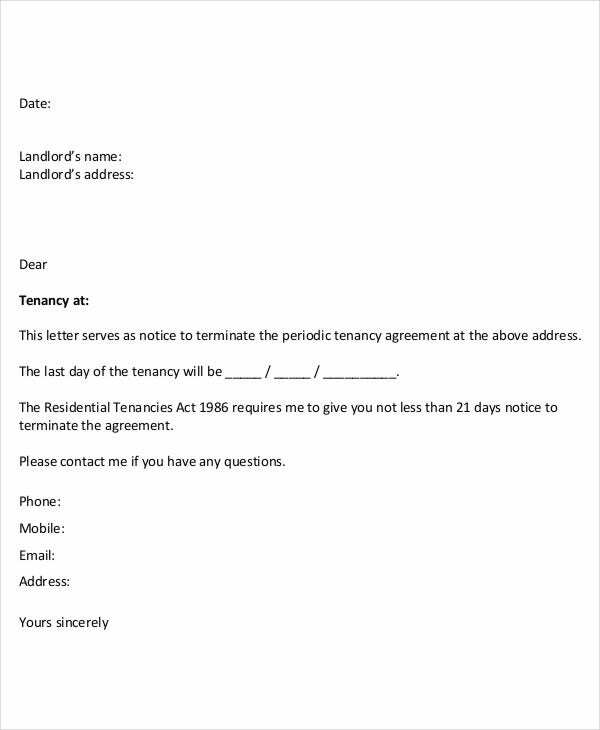 The Notice contains the terms under which you are permitted to terminate the agreement. It also states when the contract ends and creates a record that you have notified the other party about the cancellation and the end date. That way, you will have a proof if the other party claims off the hook. A Notice of Contract Termination can also serve as a courtesy to thank others for their services and preserve the relationship for the future. The contract termination documents have been created keeping the convenience of the users in mind. These documents are extremely crucial to intimate and record termination of contracts and associations with various suppliers and service providers. You will find it easy to put these documents to use for your business.